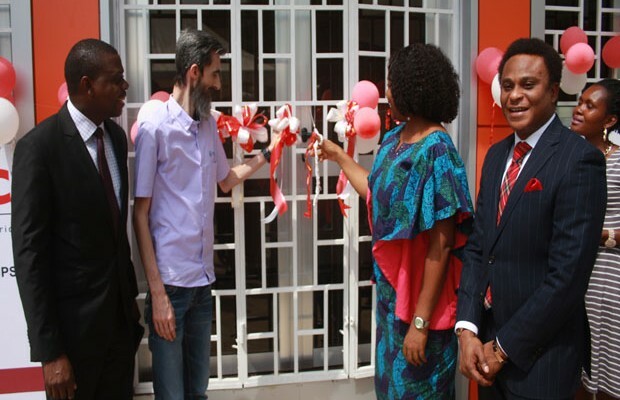 APC by Schneider Electric, a global leader in integrated critical power and cooling services, in partnership with Technology Distribution (TD), has officially opened a service centre to enhance services to clients in Ghana. According to Ayo Adegboye, Vice President, IT Business for APC by Schneider Electric West Africa, the establishment of the service centre would help bridge the gap between business partners and end-users. Speaking at the opening of the TD office in Accra on Thursday, Mr Adegboye said the service centre would help resolve several challenges that end-users of APC Uninterruptible Power Supplies have been going through. “For us the motivation is the commitment we have seen from TD to our business. Considering our business partners, our resellers and of course our end users, there was no way we could deny them better services,” he stated. TD is a pioneered IT solutions and distribution company, which has been in Ghana for over 10 years, offering several computers and their accessories for sale. “We do regular servicing, warrantee replacement for UPS and other machines under services warrantee. For those outside warrantee, we would be able to fix for a small token. Above that, the service centre would also sell batteries for the UPSs, especially when you are outside of warrantee. They would also offer what we call extended warrantee sales. He added that the service centre would be manned by APC trained engineers who also work with TD to offer the best support service to clients. “We have seen TD invest in capacity building. TD has invested in people trained by Schneider Electric to be able to offer service as a direct extension of APC. They are APC trained engineers,” he added. Adesuwa Igho-Orere, General Manager for Sales and Marketing at TD, disclosed that calls from partners and customers for quality services necessitated the partnership with APC. “We think this will go a long way in cementing a relationship between our partners and the customers, knowing that they have a one-stop shop for the purchase of these machines and receive top class after sales services as well,” she added.